Home News IHRC in Media The debate over the veil resumes in U.K. The debate over the veil resumes in U.K. The contentious question of whether wearing the burkha is a right or an imposition on Muslim women has re-emerged in public debate in the U.K. following a college revoking, under pressure, a ban it had imposed on its students, staff and visitors wearing anything that covers the face, including veils, hoodies, caps and hats when in college. The Birmingham Metropolitan College, the third largest in the U.K. with over 44,000 students on its rolls, imposed a rule that required students and staff to show their faces for purposes of identification and security and, though not explicitly stated, easy integration. A beleaguered management soon gave in. In a statement it said that all the fuss and media exposure was not allowing it to get on with its primary job of providing education, and said as a consequence “…we will modify our policies to allow individuals to wear specific items of personal clothing to reflect their cultural values”. The British media picked up the issue in stories that ranged from bland reportage to bristling outrage, with one popular publication calling it a move sponsored by “militants”. Prime Minister David Cameron said he would like veils to be banned in his children’s school, but defended the right of school and college managements to take its own decisions. 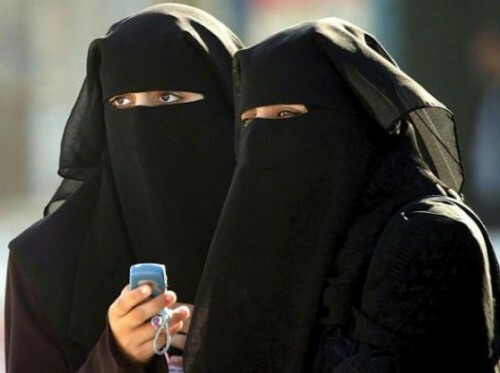 On Monday, Liberal Democrat MP Jeremy Browne re-ignited the debate by calling for a state-sponsored ban on Muslim girls and young women from wearing the veil in schools and public places, on the grounds that that the veil has been “imposed” on them. There is widespread support among Conservative MPs for such a ban. Writing in the same paper, Sarah Wollaston, Conservative MP for Totnes called the Birmingham episode, along with the recent decision of the Blackfriars Crown Court to allow a defendant to give evidence while fully veiled, a “wake up call for feminism”. Any attempt towards a state-imposed ban on the veil — whether it is the face-concealing burkha or the hair-concealing scarf — will be hugely opposed, and not just by conservative Islamist men. The more emphatic opposition is likely to come from veil-and-scarf wearing Muslim women who have grown up in this country and have come through the educational system with flying colours — and who see themselves as role models for young Muslim women. Arzu Merali, a writer and founder member of the Islamic Human Rights is a representative of this type of Muslim woman in the U.K. “I am very concerned about this call for a debate by Jeremy Brown because it will turn out to be a negative debate about people who have unequal access to power and therefore can’t participate on an equal footing,” she told The Hindu . Shaistha Gohir, Chair of Muslim Women’s Network, U.K. has a different approach to the issue. “Although I vociferously oppose a ban on the face veil, I believe there are particular circumstances in which it is necessary to show one’s face,” she said.